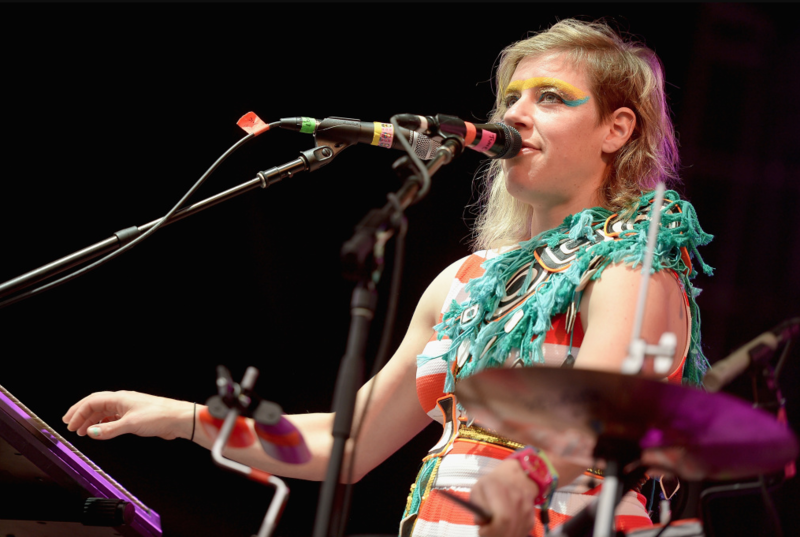 Merrill Garbus, the creative force behind the acclaimed art-pop band Tune-Yards, will participate in a special lecture and discussion up at HSU’s Kate Buchanan on Wednesday night. In advance of that appearance, Garbus spoke with KSLG DJ Sabina Gallier about music, race and privilege. Listen to the interview below. Details on Wednesday’s lecture in your Lowdown listings farther down. Kate Buchanan Room / 7 p.m.
Special lecture. Explore what it means to be a musical artist in the existing global political, social, and environmental climate with Merrill Garbus, the brainchild of the musical project Tune-Yards. Make a personalized canvas for yourself, or gift for someone special. Hospice of Humboldt invites you to gather in community during the 33rd Annual Light Up a Life Candlelighting Ceremony to honor and remember loved ones.